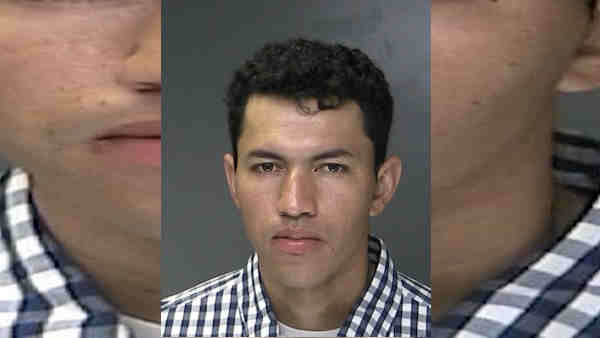 EAST PATCHOGUE, Long Island (WABC) -- Police in Suffolk County have arrested a man in a hit-and-run crash that killed a pedestrian in East Patchogue Sunday morning. Ruddy Velasquez Morales has been charged with leaving the scene of an accident resulting in death. Warren Karstendick, who is blind, was walking on the eastbound shoulder of Main Street, just west of Phyllis Drive, when a vehicle hit him around 6:55 a.m., police say. The driver fled on Main Street. Karstendick, 64, of East Patchogue, was taken to Brookhaven Memorial Hospital Medical Center where he was pronounced dead.